THE ART OF DELEGATION - The Rough Notes Company Inc.
Self-awareness is the first and most important step for you to master the art of delegation. It is imperative that you realize that moving from a do-it-yourself style, which is helpful in the early stages of your career, to a more hands-off approach is a requirement for your business to flourish. When you realize that you cannot accomplish everything yourself and begin to willingly hand off projects to others, you create growth opportunities for yourself and those around you. [It] is one of the most difficult skills to master because it may call for changes in your mindset, assumptions, and behaviors. For delegation to be successful, it requires a two-way relationship in which you and the delegatee have respect for and confidence in one another. Your role is to teach, provide support, give feedback, praise, reward and analyze difficulties. On the other hand, the delegatee must take time to understand you, gain adequate clarity and content for projects, and push ahead with vigor and determination. When a synergistic relationship exists, a win-win situation is created through which you improve the delegatee’s skills, bolster confidence, and build the organization’s capacity to get things done effectively while creating discretionary time for yourself. One of the most common issues with delegation is that the delegator has a professional set of standards, yet he or she does not have the time and/or capacity to adequately communicate expectations or provide essential information so that the delegatee can accomplish the task to satisfaction. It is important to note that for delegation to work, you are required to let go of a certain amount of control over work—a process that can be unpleasant especially when you are a perfectionist. Personal pride and perfectionism. This individual believes that no one does a job as well as he or she. Time investment. For delegation to be effective, the delegator must coach, direct, and support. It goes without saying that there is a time investment. Unrealistic expectations. Often, the delegator does not delegate, as he or she has expectations that are not realistic. Not comfortable “managing.” While progressing in one’s career, the delegator has to be a “doer.” Becoming a manager of people is a skillset that has to be developed. Insecure about role and position. 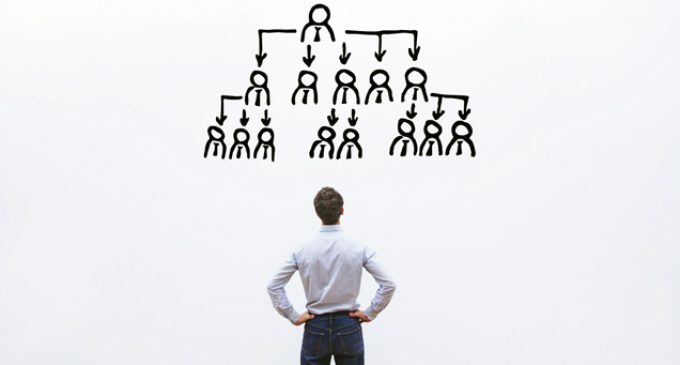 In some cases, a person chooses not to delegate, as he or she wants to keep all the tricks of the trade and does not want team members to climb. While there are many additional reasons a person chooses not to delegate, it is safe to say that the inability to delegate is the main reason that professionals fail. It is interesting to note that managers often mistake delegation as “passing off work.” So, they don’t do it because they believe that they are wasting their time as well as the resources of the firm. What makes a great delegator? Highly effective delegators work on the business rather than in it. They recognize that growing their business requires a mind shift from a do-it-yourself style to a team approach as the business evolves. These individuals have come to learn that they cannot possibly accomplish everything themselves, and they are willing to relinquish control and hand off responsibility for certain tasks to others who are better equipped to handle them. Most important, master delegators free up time to focus on activities that yield the highest returns for their business. Top-notch delegators take time to understand and value their associates’ capabilities and strengths and position them to take responsibility for tasks where they are most likely to excel. Engaged and motivated employees build better systems and streamline work processes. Empowered delegatees stimulate organizational growth and corporate culture. Great delegators are keenly aware that delegation is not just a matter of letting his or her associates know what to do. Rather, the delegator knows that there is a wide range of freedom that can be given to the delegatee. The more experienced and reliable the delegatee, the more responsibility granted. It is also important to note that the more critical the task, the more cautious the delegator acts in extending freedom and decision-making. Skilled delegators also look beyond the experience, knowledge, and skills of the delegatee. They take into consideration the current workload of the person, preferred work style, and growth opportunities resulting from the task. Patience is a requirement for effective delegation, as the delegatee will more than likely take longer than you wish in the beginning to complete a project. Assuming you have chosen the right person and mentored appropriately, his or her speed will skyrocket over time. Step 1: Take a candid look at your strengths and weaknesses. Wherever possible, leverage your strengths and delegate your weaknesses. Consider using a productivity matrix and time audit to identify ineffectiveness. The discovery of your natural talents—especially your unique abilities—is a fruitful first step toward delegation. Step 2: Set up a SMART delegation plan—Specific, Measurable, Achievable, Relevant, and Time-bound—for tasks that you choose to delegate. SMART delegation is most important because your delegatee wants to know how you will measure success. Step 3: Assess and build your delegation coaching skills. This includes your ability to define roles, provide support and guidance, offer feedback, praise, reward, and analyze difficulties. Step 5: Identify the appropriate person(s) to whom to delegate the task. Consider the workload, skillset, and opportunity for growth of the person getting involved with the task. Step 6: Delegate the task with a clear set of instructions. Explain why the task is being delegated and convey the desired outcome. And clearly communicate the growth opportunity for the delegatee and the meaning of the project to the organization as a whole. Step 7: Support with appropriate checkpoints. Depending on the experience and reliability of the delegatee, as well as the critical nature of the project, your checkpoints will vary. Checkpoints are integral to the delegation process. Step 8: Move on to high-payoff activities. Your accomplishment of steps one through seven set the stage for your personal growth and prosperity. The effective delegation of specific tasks frees up time for you to reward yourself with increased focus on high-payoff activities that benefit you and your firm. The art of delegation. It is essential to your continued growth! To learn more about Beyond Insurance, contact Scott at saddis@ beyondinsurance.com.